Mined from an exclusive rock formation in the western United States, there is nothing else like Mezotrace® on the planet. Speculation is that it was formed from a freshwater seabed during the Triassic-Jurassic periods of the Mesozoic Era, approximately 150 to 200 million years ago. 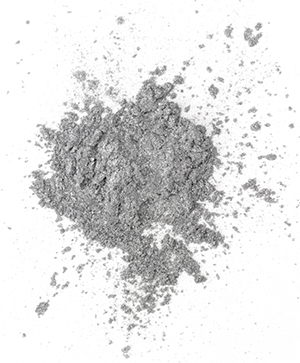 The purity and viability of these minerals and trace elements has been protected from erosion, leaching, and outside pollutants by being encased, since original formation, in rock rich in naturally occurring hydrogen sulfide. Hydrogen Sulfide is a powerful antioxidant and is thought to have played a major role in the preservation of the extraordinarily large percentage of organics found in Mezotrace®. It has been used by pregnant women and nursing mothers as an aid to better nutrition, to ensure in more comfortable deliveries, healthier babies, and increased natural milk content. In general use, it may enhance the overall physical conditioning and help provide relief from the stresses of daily life. Mezotrace® has numerous benefits with regard to general human nutrition and everyday more people are discovering and reporting ways in which its continued use is helping them. 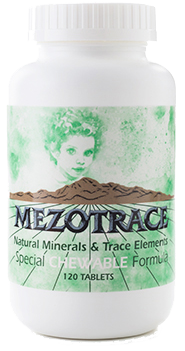 Additionally, Mezotrace® contains many trace elements. Calcium and magnesium are two different sides of a coin. … It is easy to see that it is vital to keep these minerals in balance and that too little magnesium to balance calcium could be both uncomfortable and unhealthy.